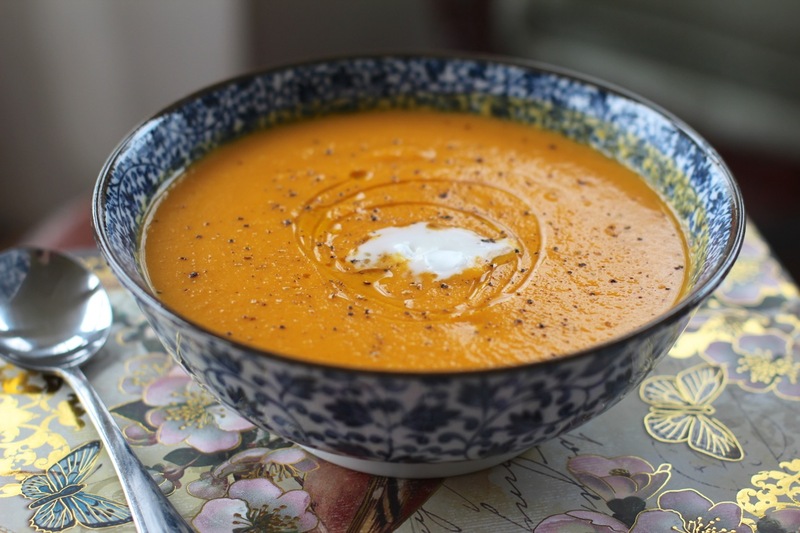 This soup is lovely and creamy, with a light coconut taste, but only uses one tablespoon of coconut cream to achieve it, along with unsweetened Soy milk. 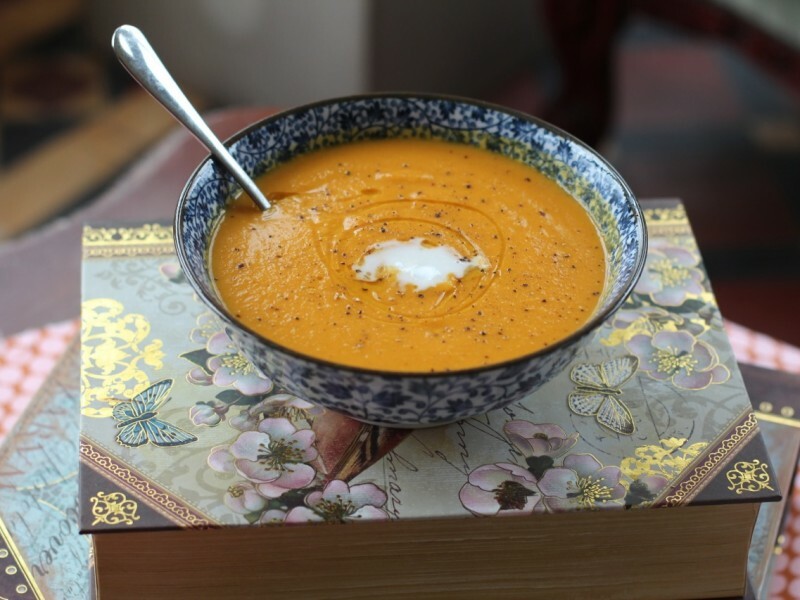 I try to keep my soups relatively low fat, and simple as soup is a great staple lunch, and I like staple foods to be wholesome. I have used soymilk to add the rest of the creaminess, whilst keeping it low fat. Ofcourse, you can substitute a different plant based milk if your prefer. 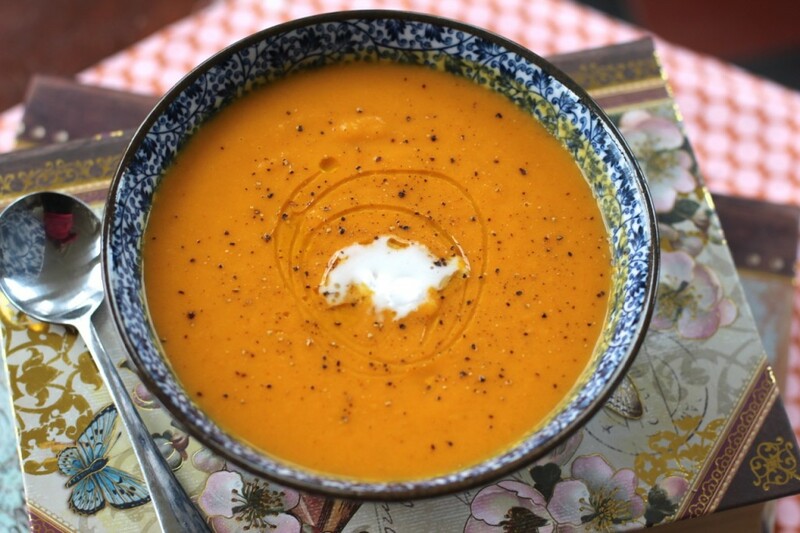 Once again, it’s another really quick soup to prepare, which makes it easy to whip up a good, healthy lunch! -Peel carrots and sweet potatoes, chop and chuck into saucepan. -Boil 2.5 litres of water, and add to saucepan, and bring to boil, before turning down to simmer. -Add all your spices and stock powder at this point. -Once the vegetables are fully softened, puree the soup til smooth. -Add coconut cream and soy milk. Do NOT add the soymilk whilst the soup is still boiling, or you will get white flecks in it. This can happen when you re-heat it from cold too, but is easily solved by giving it a quick whizz up again with an immersion blender. To serve, you can add a drizzle of olive oil, but this is purely for presentation purposes, so skip that if you want to be extra healthy! A nice grind of pepper on top and it’s ready to enjoy with a nice piece of crusty bread to dip.